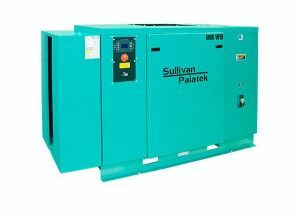 At Gregory Poole, we know how important reliable, efficient air compressors are to businesses in a wide range of industries. We also know that, when it comes to replacement parts, timely delivery is essential. Our Parts department sells hundreds of air compressor and dryer parts each week. Give us a call first and discover the commitment to fast, expert service that has made us a local leader for over 65 years! For customers who choose to perform their own maintenance on compressed air equipment, our Parts department can provide either OEM or aftermarket quotations and parts in a timely manner. A trained team of air compressor experts can ensure you receive everything you need to get the job done right, whether it’s a major repair or a simple tune-up to keep your equipment running its best. In addition, our Parts department stocks a variety of compressor lubricants and maintenance parts. We can arrange delivery to your location, or you can pick your order up at one of our many stores located throughout eastern North Carolina. Quality parts are essential to keeping your compressed air equipment running its best. At the same time, keeping operating costs low is an important priority. That’s why we offer our clients multiple options when it comes to compressor and dryer parts, from OEM to aftermarket. We take care to stock only reliable items by manufacturers we trust — that way you know you won’t risk unexpected downtime due to equipment failure. Find out more about your options by contacting our compressed air parts desk today.